Shaye is currently studying at UNR. She assists Dr. Weed and takes great care to keep patients comfortable during their x-rays and treatment. 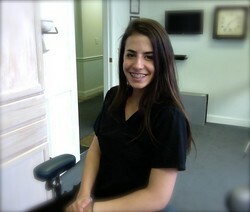 Shaye is dedicated to helping make your trip to our office stress-free and easy. Shaye spends her free time skiing and enjoying the great outdoors. Sam grew up in Susanville, CA and has been living in Reno since 2012. She helps patients by talking through office procedures in a kind and comprehensive way and alleviating any dental anxieties they may have. 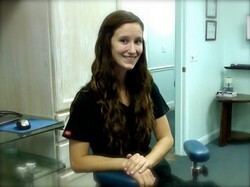 Sam assists Dr. Weed and works with patients to schedule appointments and coordinate treatments. When she isn't at the office, Sam enjoys going to music festivals and spending time with her three dogs.